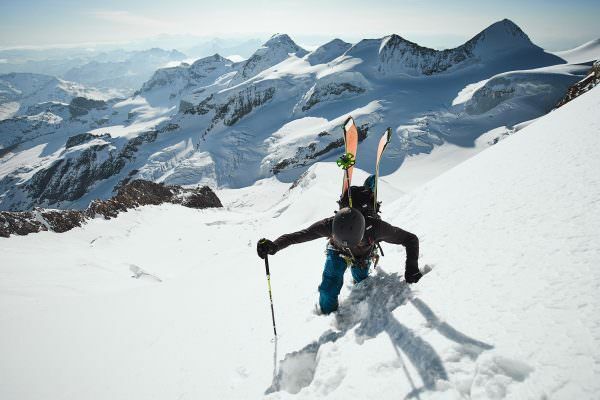 Skiers Jochen Mesle and Max Kroneck start their biggest and most extraordinary ski tour so far. 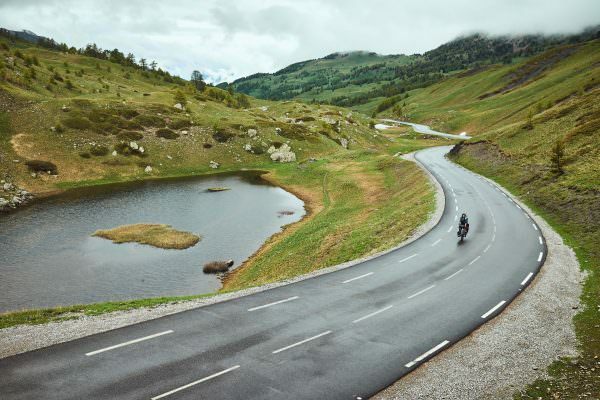 Their mission: Bikepacking across the Alps and skiing some iconic mountains along the way – no motor allowed! The two friends have travelled the world for many mountainous adventures, but while skiing in distant locations this idea grew in their minds: a ski expedition that starts right on their own doorsteps in southern Germany. 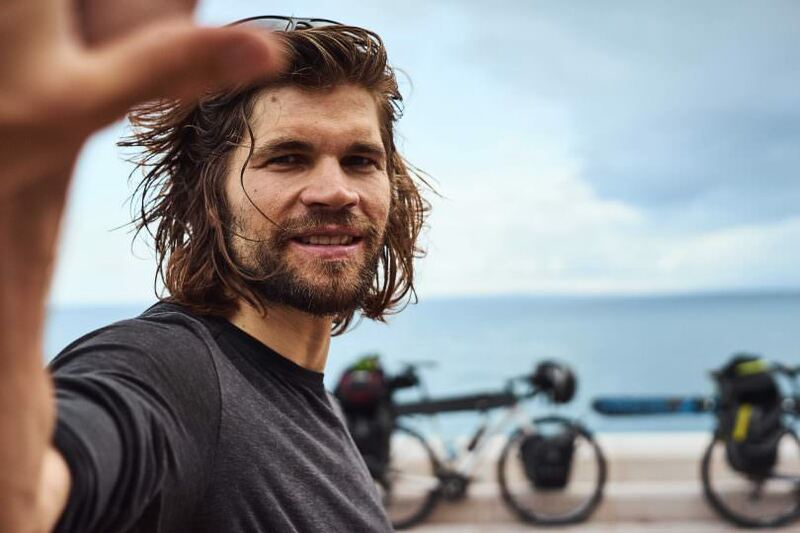 Six weeks on the road, 1,800 km, 35,000 vertical meters and a 100% self-powered adventure. Max Kroneck: This trip was a dream come true for both of us. I always wanted to travel as light as possible and experience big mountains by fair means. 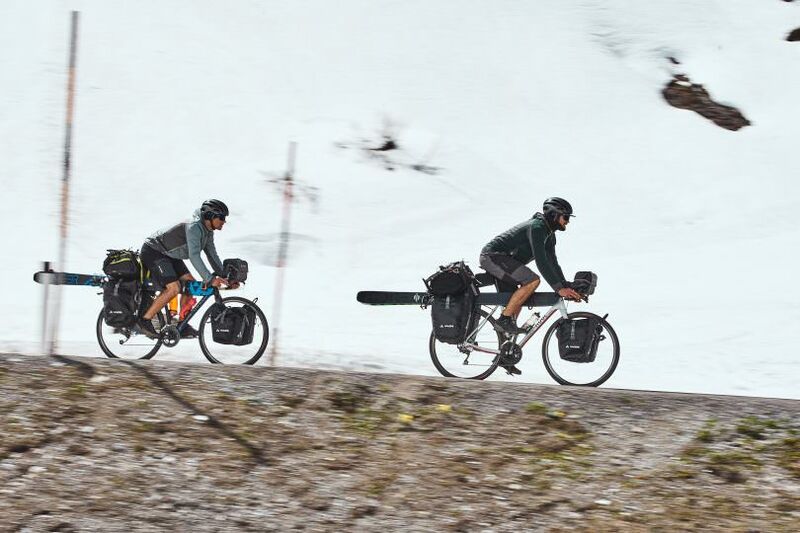 They carried 50kg of gear on each bike – including not only camping, skiing, cycling and mountaineering gear, but also camera equipment to document the mission for the time they were not accompanied by one of the filmmakers of El Flamingo. 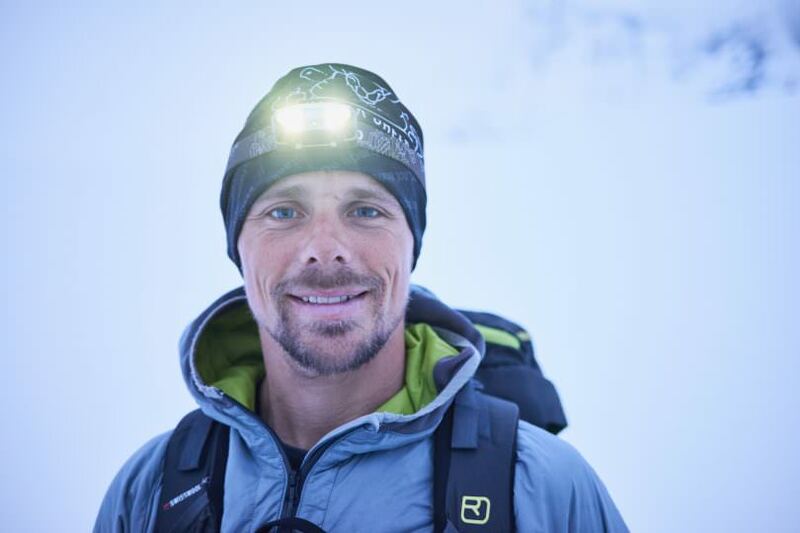 Jochen Mesle: We combined our main passions: Skiing, cycling and the mountains – just that. 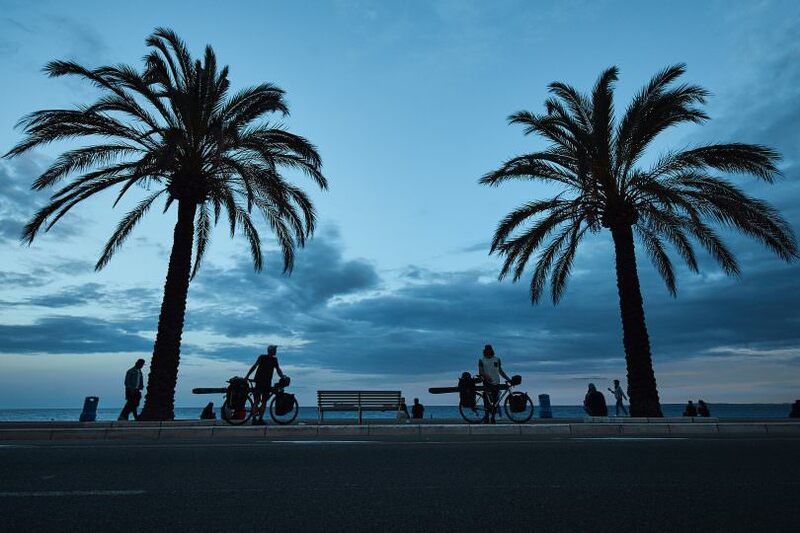 After pedalling and skiing through Germany, Austria, Switzerland, Italy and France, they reached the beach of Nice in early June 2018. The 32 minute documentary about the trip premiered at St. Anton Filmfest in August 2018 and won several awards at film festivals around the world (Finalist & World Tour Selection @ Banff Mountain Film Festival, Best Mountain Sports Film @ Vancouver Mountain Film Festival, Jury Prize @ Winterfilm Festival France). Finally, the time has come to share the story with the online community, for free! 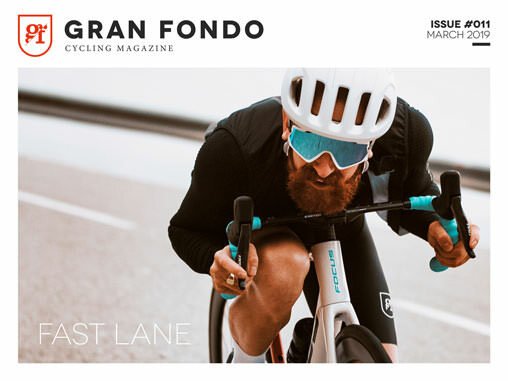 Road & Gravel Trends 2019 – The perfect road bike for everyone? Our best articles, exclusive content and regular giveaways, directly to your inbox once a month.